Some options in stock. Order in the next 1 hour, 22 minutes and it will go out today! A bill switch that doesn't look like a bill switch...it just looks like real magic! 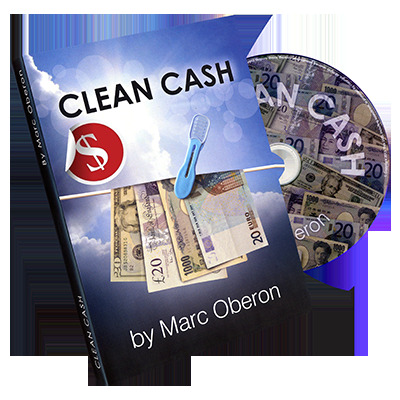 Clean Cash is a very visual bill switch, which allows the performer to demonstrate something that most people only dream of; that is, to make money from nothing, or in this case, change a blank piece of paper into a real banknote! With a mere wave of the hand, the performer creates an eye-popping change, which looks great, and is unique because at the end, both hands are completely 'clean'. They are seen to hold only the newly created banknote with no 'thumbs' or extra notes in sight. Everything seems incredibly open, fair and 'clean', which makes for a lovely magical effect. Clean Cash is truly clean! It's very well thought out and looks like real magic.